This three-part series will examine the past, the present, and the future of dwelling in Iowa and is supported by the University of Iowa Office of Outreach and Engagement, the Obermann Center for Advanced Studies, and MERGE. These conversations connect three ongoing public projects. The first, Going Home, is an exhibition curated by Vero Rose Smith at the UI Stanley Museum of Art and on view at the Figge Art Museum in Davenport, Iowa. The second, American Dreams, is the 2019 Theme Semester topic at the University of Iowa. Last- ly, this three part series will serve as the central set of conversational forums hosted by Daniel Boscaljon of Coffee With Dan. The format of Coffee With Dan consists of short conversations with each panelist which then unfold into a conversation among panelists and the crowd that has gathered. Through this conversation, we will explore the history of individual identity, community cohesion, and geopolitical boundaries in Iowa. 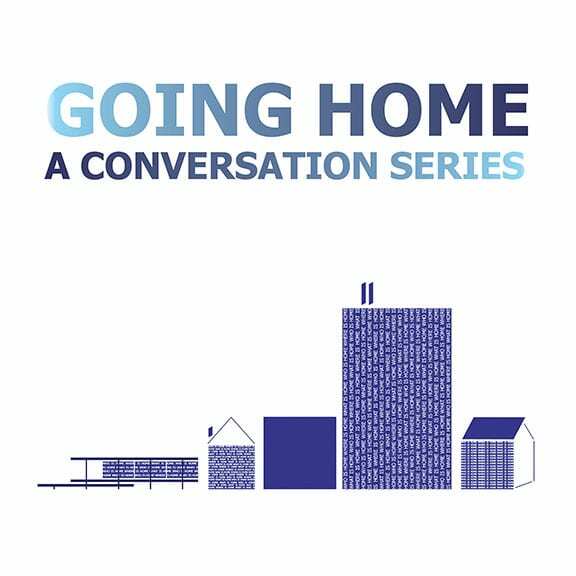 This panel explores obstacles to feeling at home in contemporary Iowa City. We will investigate how social policies and cultural biases contribute to housing insecurity and the difficulty of making home a place of peace. During this forum, we will examine possible futures of home and dwelling in Iowa, and how our plans for the futures shape our thoughts and dreams about home long before we arrive.